It is MT4 (it is working MT4). It is not working for MT5. This is MT4 IBFX broker. 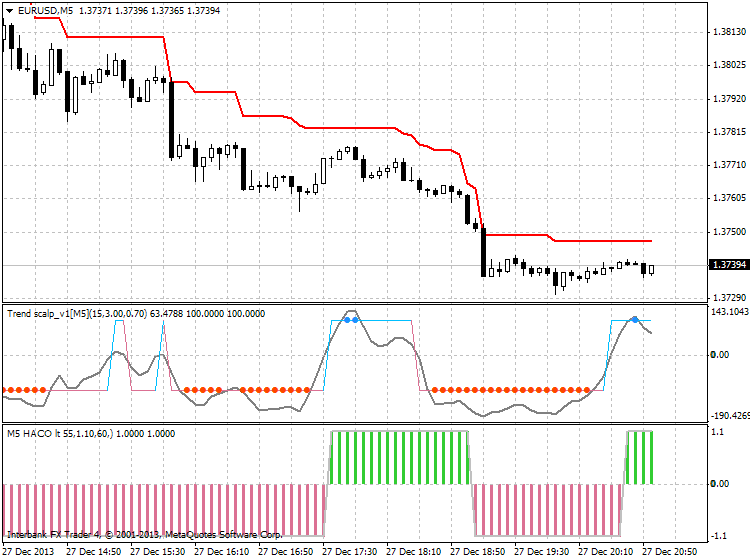 I understand but why I can upload this indicator on my MetaTrader4?? scalping-trend-scalp? I do not know any indicator with this name ... did you rename indicators? I mean Trend scalp_v1- can you upload it again please? You can download those 3 indicators and place them in indicator's folder of your metatrader directory, but in case you are using Windows 8 or Windows Vista etc - your indicators' folders may be located in different place - in UserData of your Windows (you may find this folder and place indicators there). Great! Now it's o.k! Thanks a lot! P.s: Can I use it on 1M chart? Indicator is here, or I attached it to this post. Can you give an example please how to trade with it? I mean to show real time trades please? Yes, I will trade it for posting the results/statement here. But market is closed now in IBFX broker so I can not do it today sorry.